I have search Amazon and compiled a list of the top environmental health book deals. 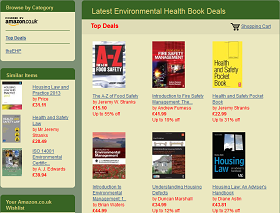 You can find more environmental health book deals here. “Encentre | Benchmark” provides a monthly analysis of where your Borough stands in relation to your neighbours and nationally.